School-based therapy is fast becoming a preferred model of service delivery by therapists, school staff and parents. It minimizes absences from school, promotes a direct relationship with classroom teachers and is convenient for time poor families. A partnership would allow us to liaise closely with your school in offering specialised knowledge, support and guidance for teachers and parents of children who may be experiencing language-based difficulties that are not allowing them to reach their full potential in the learning environment. “School partnerships are imperative for the growth and development of every child. 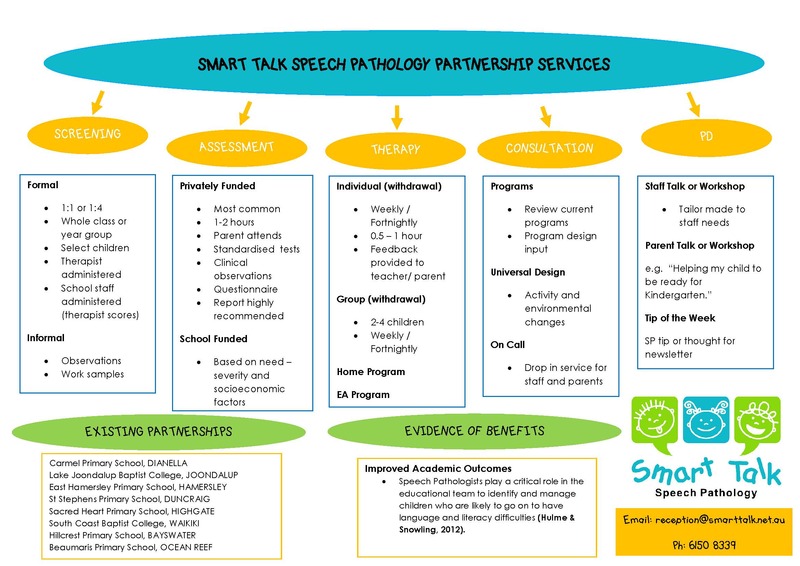 These partnerships are formed between home and school, as well as the inclusion of speech pathology services. The benefits of such a partnership means that all parties that are involved in each individual child’s progress are working from a team perspective, ensuring that the triangle of school, home and speech therapist are all working towards the same goal. At St Stephen’s School, we believe in positive growth through engagement and strong relationships that supports and enriches the lives of every student. 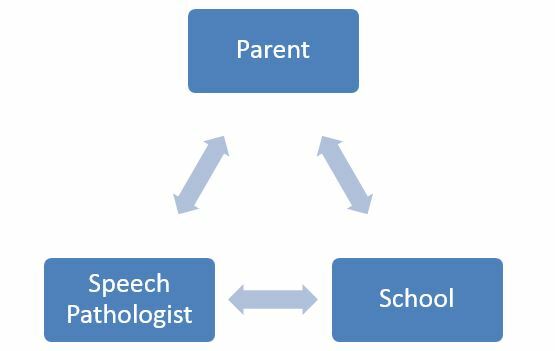 In addition, the speech therapist is able to work with each student within school hours and communicate with each child’s teacher and parent as part of their school day”. We pride ourselves on being flexible and would be happy to tailor our services to suit your school. Please contact us if you would like to ask any questions or proceed with setting up a partnership. We look forward to hearing from you soon.